It’s what’s on the outside that counts. A cucumber peel is the most nutrient part of the vegetable, containing fiber and vitamin A. 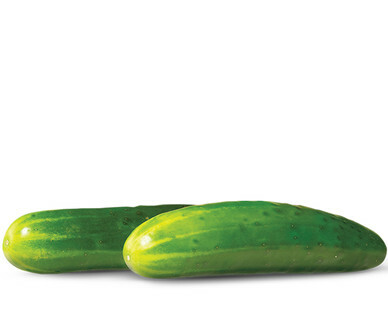 With zero fat, cholesterol and sodium, cucumbers are a great addition to a low-calorie, heart-healthy diet. A cucumber’s key nutrient is water, which is great for hot summer months. Pick firm cucumbers with a dark green color.